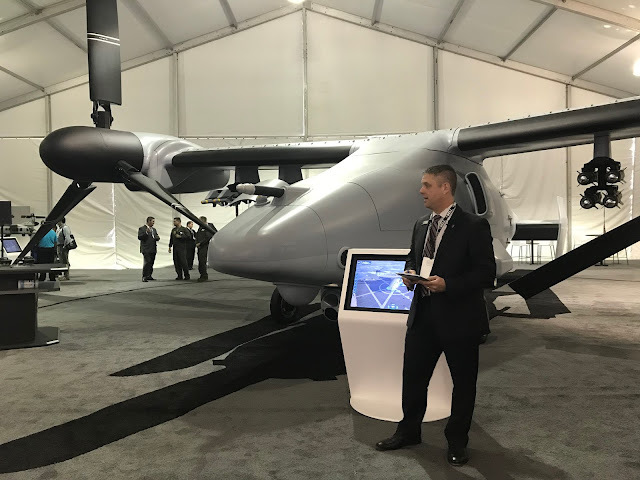 "The Bell V-247 Vigilant is leveraging combat-proven technology making the future of aviation a reality today – it's a testament to the power and versatility of #tiltrotor flight." Ok aviation guys educate me real quick. I'm seeing pylons on this tilt rotor. Why can't we do the same to the MV-22 instead of playing with that ridiculous belly cannon that just don't work? If they can to it here why can't we do it with the larger platform? Additionally I'm having an issue with the planning. Why are we converting our troop transport to an aerial refueler if we are putting UAVs on our LHDs? Ya know quite honestly we should just bite the bullet and dump the Ground Combat Element from LHDs and redesign them to be pure light carriers. AH-1Z, UH1Y, CH-53K and maybe the light attack airplane can go on an improved LHD that is balanced toward supporting the ground force. The light carrier can swing between Navy and Marine Corps and Combatant Commander demands for airpower. This way the Air Ground Task Force can remain...it'll be diminished but that seems to be the writing on the wall.